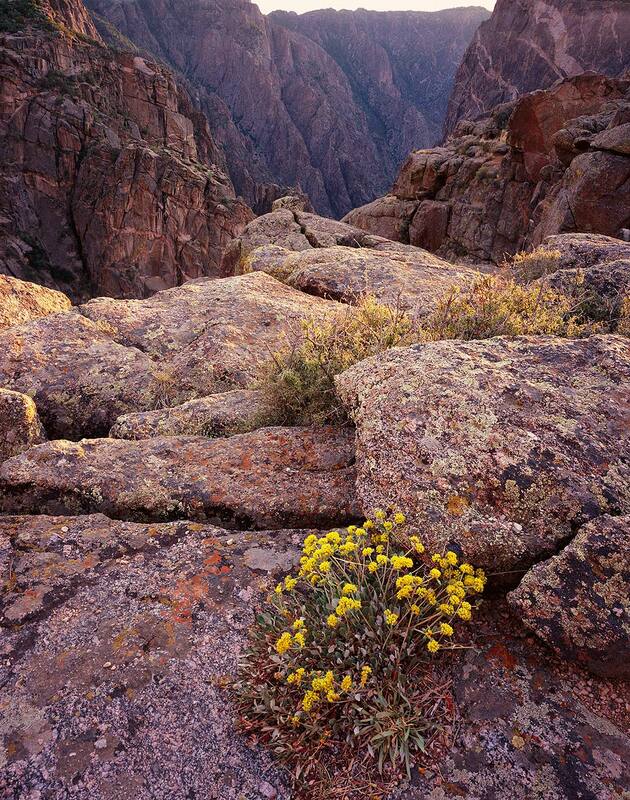 A hardy buckwheat flowers in a little pocket of soil in the granite rim of the Black Canyon of the Gunnison, as the evening sun sinks behind the cliffs. Over millions of years, the churning Gunnison River has carved a spectacular 2000 ft. deep canyon through hard metamorphic and igneous rock at the rate of 1 inch per 100 years. The gneiss at the bottom is over 2 billion years old, some of the oldest exposed rock on earth.